The Anton Bauer Gold Battery Mount for Canon C300/C500 allows you to connect an Anton Bauer broadcast DC battery (not included) to either a Canon C300 or C500 video camera. A battery in conjunction with the ports on this mount will power the camera plus 3 accessories at the same time. The mount can be connected either directly onto the camera with the included Zacuto Zwiss plate or it can simply hang from your tripod. 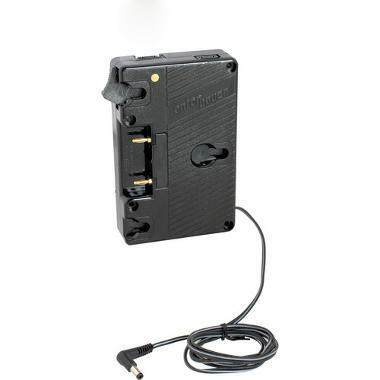 This mount is compatible only with the C500, C300 PL, and C300 EF. It is NOT compatible with the C300 Mark II, C100 with Auto Focus Upgrade, or C100 Mark II. 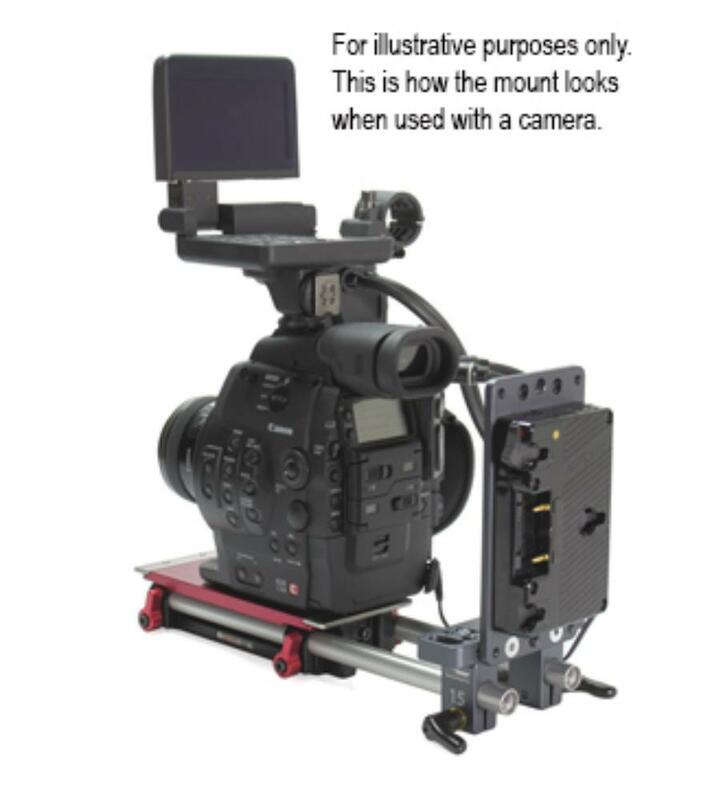 • Compatible only with the C500, C300 PL, and C300 EF. • Not compatible with the C300 Mark II, C100 with Auto Focus Upgrade, or C100 Mark II. • This mount does not come with an Anton Bauer battery. The battery must be rented separately.